Found one file extension association related to TOCA Race Driver 2 and 1 file format developed specifically for use with TOCA Race Driver 2. 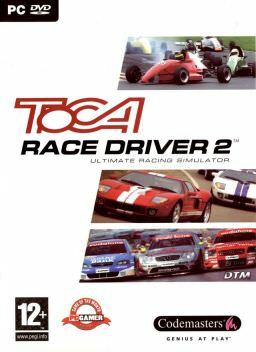 TOCA Race Driver 2 is a racing video game installment of the racing video game TOCA Touring Car series, released on Xbox and Windows in April 2004, with a PlayStation 2 version following six months later. The TOCA Race Driver 2 software seems to be old or discontinued. If you need more information please contact the developers of TOCA Race Driver 2 (Codemasters), or check out their product website.